I have my first finish of 2012. Well, I consider him a finish. I need to get a little carrot button for his nose. Then figure out how I want to finish-finish him. I'm so happy though!! Sorry it's a little blurry. Having to get my Seb to take it with his phone, then post it to my facebook, then I save it to my puter so I can load it. 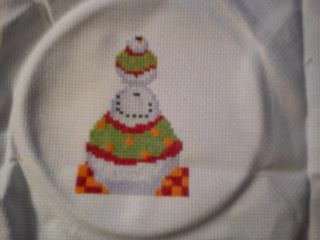 This is snowbuddies from the 2011 JCS Ornament issue. Yes, if you look at the issue, you will see some mistakes, but I think I covered them pretty good!! 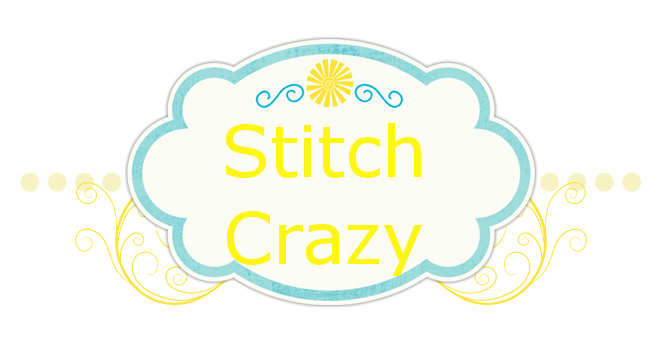 Hope everyone has a wonderfully stitchy day!! Congratulations on your first finish of the year! He is adorable! Shanda - great little finish!!! He's adorable! Congratulations on your first 2012 finish! I just had one also.